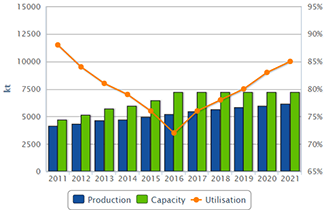 The ICIS Supply and Demand Window provides detailed, objective data on global petrochemical supply, demand, production capacity, and trade. Access it to empower your business in making long-term, evidence-based decisions and to support your strategic plans, forecasting and contract negotiations. Predict future prices to settle contracts with confidence. Understand manufacturing capabilities within key geographical regions. Gather an informed view of trade patterns. Utilise data and analysis for strategic planning, budgeting and forecasting. 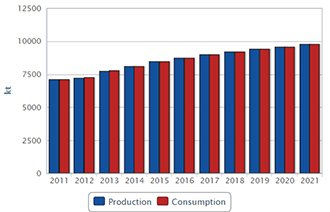 Track production and consumption changes across global petrochemicals markets. Evaluate plant utilization rates through comparing production and capacity. 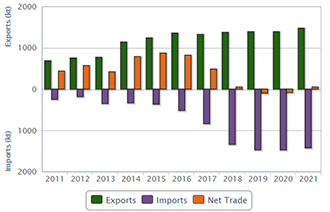 Study historical and forecast imports and exports, as well as net trade data for global petrochemicals markets. Chart and download historical and forecast data covering an 11 years time span. Across 8 regions, including a world view. North America (includes Mexico), Asia Pacific, North East Asia, Europe, Former USSR, South & Central America, Middle East, Africa. Access to this online database gives you an end-to-end perspective across the global petrochemicals supply chain and enables you to grasp the local or regional scenarios against the global context. 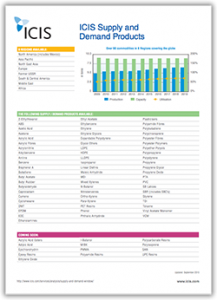 Data includes import and export volumes, consumption, plant capacities, production and product trade flows – from 1978 up to 2040 – by product, country and region. This powerful data and analytics service covers more than 100 petrochemical commodities, across 160 countries, and helps senior management, strategists, business planners, analysts and risk managers to validate commercial and growth strategies. ICIS’ one-on-one consulting service digs deep into your business. Our consultants deliver tailored solutions based on your unique requirements – from research and due diligence, to investment analysis and portfolio optimisation. In addition our China-based team can deliver the insights you need to understand how local developments impact the global petrochemical markets. ICIS consultants integrate their solid industry experience with our wealth of database and extensive research, and work alongside your team to help meet your growth objectives.